Cloudy early with partial sunshine expected late. High 59F. Winds SSE at 10 to 15 mph.. Some clouds early will give way to generally clear conditions overnight. Low 37F. S winds shifting to NNW at 10 to 15 mph. In his prologue to “The Canterbury Tales,” Geoffrey Chaucer writes, “Whan that Aprille with his shoures soote; The droghte of Marche hath perced to the roote.” The poetic verse of his middle English is a nod to the freshness of spring that, despite a few intermittent snow storms, is officially upon us. Spring is a time of awakening, a time of refreshing, and a time of rebirth. As leaves and flowers sprout anew, returning bright colors of nature’s bloom, a fresh perspective reawakens in our souls. Chaucer observes, “Than longen folk to goon on pilgrimages,” in springtime. Indeed, spring represents a time of journey and pilgrimage. For many, this pilgrimage is to the spring break meccas of Cancun or Fort Lauderdale, or to some other location that for a short time becomes party central. For me, that pilgrimage is more of a spiritual journey. The onset of spring in my Jewish world means that it is time to prepare for the holiday of Passover. My Passover journey leads me to multiple Seder dinners and finds me driving around town with a box of matzah in my car. But it is the opportunity for a spiritual journey that I most anticipate. Each year, Jews around the world sit at the Seder table reading from a book called a Haggadah. This book recounts the journey of the Israelites from slavery in Egypt to freedom in the Promised Land. It is the story of a springtime pilgrimage. While the main focus of the holiday is on remembering the story of this major biblical episode, there are deeper meanings that we explore during the Seder dinner. My favorite sentence in the Haggadah opens up such an exploration. It explains that, “In every generation, each person must look upon themselves as if they themselves left Egypt.” This annual directive is the ticket to my spiritual spring pilgrimage. It wasn’t just my ancestors who made this journey, but I was there as well! The Hebrew word for Egypt literally translates as “the narrow places,” because ancient Egyptians lived along the narrows of the Nile river. So, I can extrapolate that, while my ancestors and I physically left Egypt, we also spiritually left our own narrow places. We live in a world that is filled with narrow places. We have immigrants who are fleeing the narrow places created by the dangers in their unstable homelands. We have individuals who are suffering in the narrow places of addiction. We have minority groups who are plagued by the narrow places that hatred has created in our society. We have people who find themselves stuck in the narrow places of poverty and homelessness. We have souls who are entangled in the narrow places of depression and loneliness. If I came out of the narrow places, certainly I should try to help others come out of their narrow places. The blossoms of spring bring us a world renewed, I pledge to replace judgement of others with a commitment to helping them find out of their narrow places. I hope that you will join me on this spiritual spring pilgrimage! 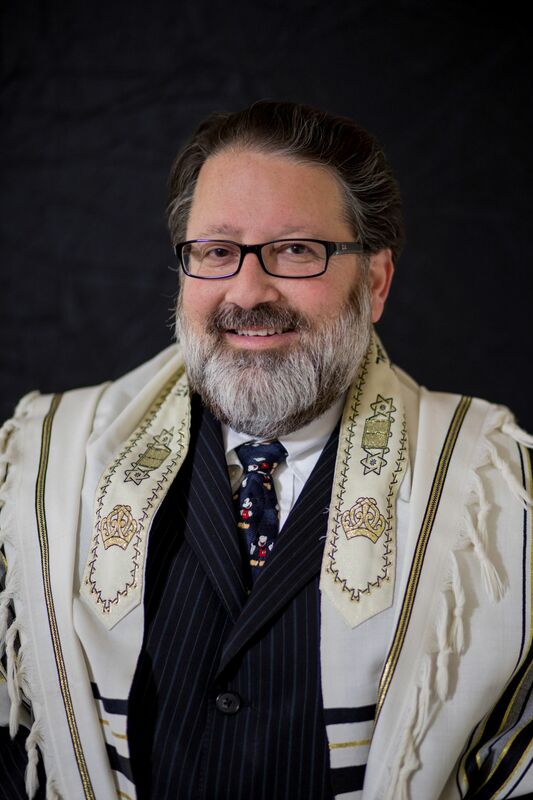 Rabbi Jay Sherwood is the spiritual leader at Temple Shalom in Colorado Springs. For more than 30 years he has been engaged in the world of Jewish education, Jewish music and Jewish camping. He can be reached at rabbijay@templeshalom.com.